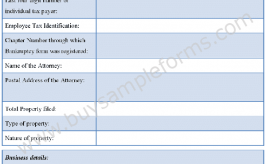 Liability forms are used to claim the right of an individual as per the statement of the liability form. It is produced to help people in receiving a concession for any damages, which a party is legally bound to give for the liability agreement. 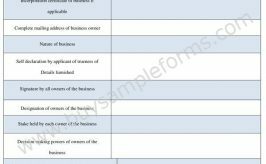 The terms of this form are made based on some situations that demand financial support from the concerned company in case any accident or injury happens. The company is liable to give what an individual deserved. Generally, this form is very useful where there is any risk of accident or injuries. There are also the liability release waiver forms that contain information regarding the releases of liability. This is very common in sport and events where a participant has a certain risk. By signing such form, a participant waives the liability of the concerned organization that means if any kind of damages occurs during the event, the authority is not responsible to take charge of it. In the insurance sector, the companies who provide the services are legally liable to give the compensation to the individual according to the agreement between the insurance company and the policy holder. There are also liability forms for the personal trainers. Limited liability forms are also available on the internet for giving some specific compensation. Here a sample is provided to help you.